Although dubbed in 1907 as “the Pearl of Africa” by Winston Churchill, Uganda’s travel appeal didn’t gain traction until very recently. Savvy travelers are becoming wise to the cultural and natural treasures Uganda has to offer at rather affordable prices, with not only gorilla trekking but the “Big Five” safari experience. 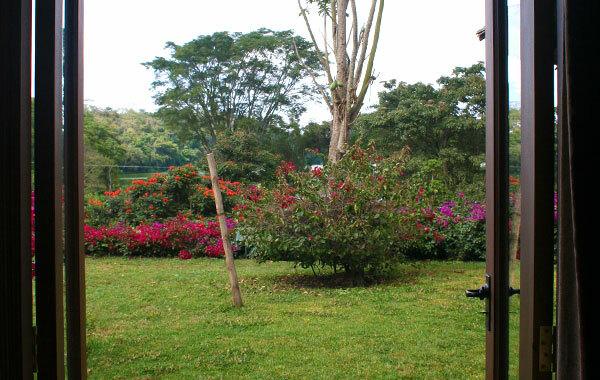 “Uganda has certainly gained popularity among American travelers, particularly because of gorilla trekking. In fact, the destination was named one of Fodor's top places to travel in 2019. Still, Uganda is still decidedly under the radar,” says Uganda public relations spokesperson, Ashley Norman of PHG Consulting. Why does Uganda stand out among other East African destinations? “The uncrowded nature of the safari experience certainly stands out in Uganda, as does the diversity of wildlife with the ‘Big 5 and more’ including primates like gorillas, chimps, and golden monkeys," adds Norman. While not as seasoned a destination as its competing destinations like Kenya and Tanzania, we agree Uganda a compelling edge as a destination. This tiny country nestled in the heart of East Africa, is home to all of the same major draws as its neighboring countries plus more. “Uganda is also one of the best birding spots in the world. Ugandan hospitality is genuine and welcoming -- you will meet new friends wherever you go! In a country roughly the size of Oregon, you will find a remarkable number of different landscapes --- it offers the best of Africa in one compact package!” exclaims Norman. It’s no secret that Uganda’s major claim to fame is the endangered gorilla and chimpanzee populations that roam wild within its borders. Uganda holds 60% of the world’s population of gorillas, with 400 of them residing in Bwindi Impenetrable National Park and the remainder wander freely through the volcano-studded Mgahinga Gorilla National Park. Head west and you’ll find yourself in Kibale Forest National Park, home to a dense population of chimpanzees (approximately 1,500). However the treks can be lengthy, and require patience, for those with limited time Ngamba Island Chimpanzee Sanctuary offers close encounters with chimpanzees as well. If gorilla and chimpanzee trekking are your main goals, then these four spots are your go-to locations; however, if your interests vary, Uganda has a world more to offer. 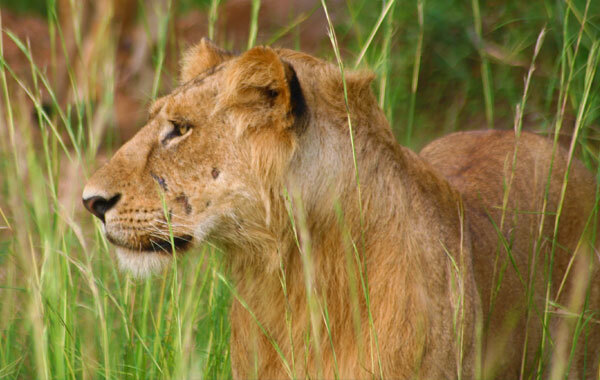 In addition to gorilla and chimpanzee trekking, Uganda is also home to the Big Five (elephant, buffalo, rhino, lion, and leopard) plus antelopes, cheetahs, giraffes, hippos, and zebras. Travel to Queen Elizabeth National Park, known for its abundance of game, to encounter tree-climbing lions, some 5,000 hippos, 3,000 elephants and over 10,000 buffalos. Head to the Ziwa Rhino Sanctuary to observe rhinos in the wild, or Lake Mburo National Park, home to Uganda’s largest zebra population; for the ultimate wildlife viewing experience Kidepo Valley National Park is where all of Uganda’s wildlife comes together. With affordable prices, significantly cheaper permit prices, and fewer crowds Uganda offers, arguably the best safari experience in Africa. 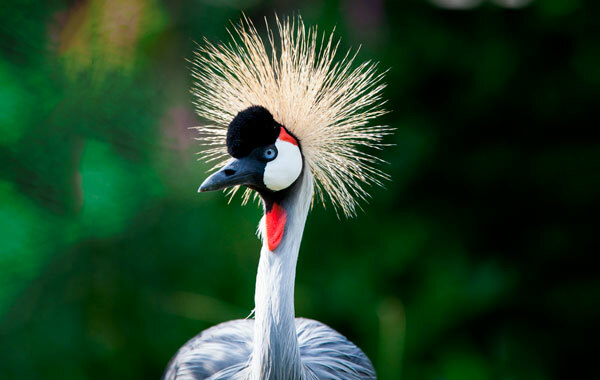 Uganda doesn’t typically make the top of the list for most birders but we believe it deserves a second look. With over 50% of all bird species in Africa residing here and a number totaling at over 1,000 species, Uganda is surely underrated as a prime birding destination. The high species is count is due to extremely diverse landscapes and temperate climate. 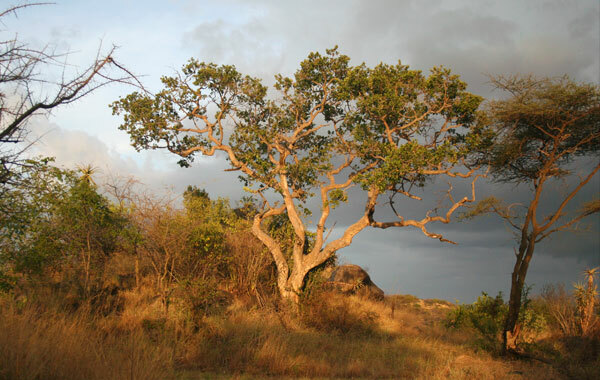 Each region of the country is home to a variety of different species; however birders typically make the trip for these select targets: Green-breasted Pitta, Standard-winged Nightjar, Doherty’s Bushrike, Short-tailed Warbler, Bar-tailed Trogon, African Green Broadbill, Shelley’s Crimsonwing, Black-breasted Barbet, Great Blue Turaco, and Shoebill Stork. What accounts for Uganda’s rising popularity? There are multiple factors that contribute to Uganda’s leaps and bounds in the tourism sector, namely successful marketing strategies, infrastructure improvements and hotel developments account for a large portion of the rising visitor numbers. 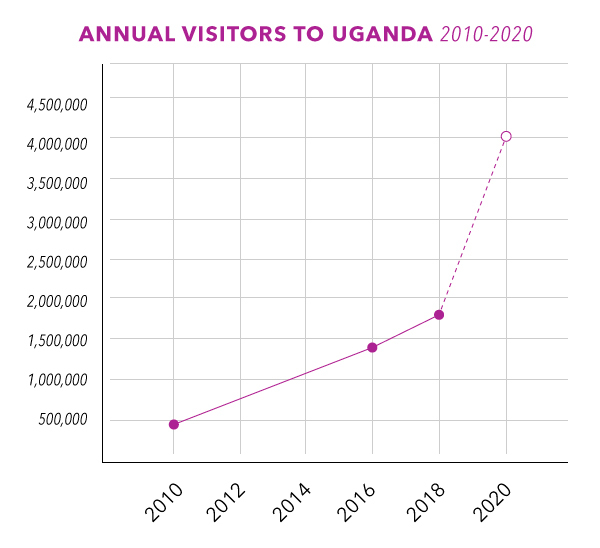 Over the past decade Uganda has seen a steady rise in tourism, increasing from just under a million visitors in 2010, to 1.4 million in 2016 and a projected 4 million for the year 2020. On the front end, Uganda has implanted a far-reaching marketing campaign to put the country on the tourism map. “The Uganda Tourism Board (UTB) has engaged a North American marketing firm since 2016 that handles travel trade relations and PR for the destination. A bi-monthly newsletter is sent to the travel trade, and UTB has a presence at events like the New York Times Travel Show. Social media has been the main push in the way of marketing and “channels for North American travelers are on Instagram @uganda_tourism and Facebook @VisitUganda,” Norman notes. 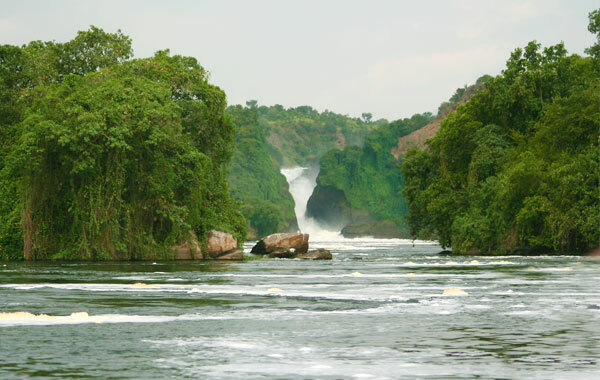 A country like Uganda that is so small and so new to the tourism scene, many avid travelers weren’t even aware of Uganda as a viable option for travel. These marketing efforts change that. On the back end, the country has made and continues to make major strides in infrastructure. The restoration of roads linking tourism spots in the country has cut travel times drastically and made moving about the country much easier. 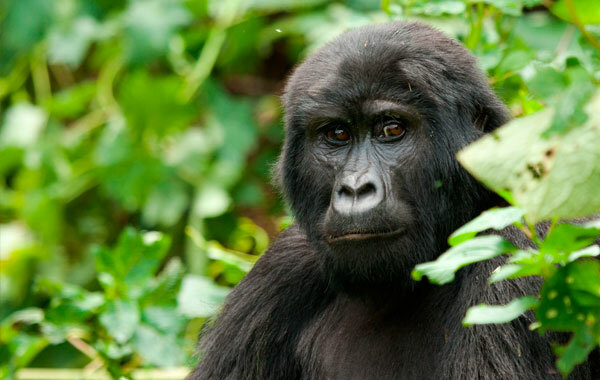 The construction of Mbarara – kabale Highway and Kabale – Kisoro high way has eased transportation to Bwindi impenetrable forest national park and Mgahinga gorilla national parks home to the critically endangered mountain gorillas. Travel time from Entebbe to Bwindi is now only an 8-9 hour drive, in comparison to the 4-5 day journey it once was. “The Kampala - Entebbe Expressway launched in 2018, drastically reduces the time needed to transfer to/from the capital city to Entebbe International Airport. Aerolink is beginning new interline flights on June 1 of this year to connect four Ugandan national parks with the Maasai Mara,” adds Norman. Where travelers used to opt for Rwanda as the better option for gorilla trekking, the improved road systems and relatively cheaper prices for gorilla permits have made Uganda the favorable choice. In addition to transportation improvements, Uganda has invested tirelessly in the development of hotels and lodges to make tourism more accessible and to attract a broader range of clientele. Today, the country boasts 90 luxury hotels and 30 lodges, impressive progress in such a short time. Furthermore, sustainable and eco-friendly travel is not lost on this young destination. “The fees related to primate trekking in Uganda directly support the care and conservation of the animals, and the focus on conservation is very apparent. More travel-related businesses in Uganda have taken a grassroots approach - from limiting or eliminating single-use water bottles in favor of filtered water for guests to hotels offering tree-planting programs for guests to participate in. Many lodges source produce from local farmers, helping support the community's economy and provide true farm-to-table meals for guests,” says Norman. Uganda is primed for travel, with growing infrastructure, affordable prices, and relatively low crowds –now is the time to go.